The U.S. International Trade Commission is in the midst of its study of the American electronics recycling industry. This study, expected to take about a year, includes a survey of the American east scrap industry and seeks to determine the level of exports each year by these firms. The U.S. ITC recently sent out a survey mandatory for those firms that received it, and is asking for those firms to respond. The questionnaire was mailed to randomly selected firms in the e-scrap industry. The survey was due back to the survey was due back to the governmental organization by July 25. The purpose of the study is to prepare a report that will estimate US exports of used electronics, the share of exports in the overall US electronic products industry and the overseas destination of those products. Data gathered from the survey and questionnaires will be aggregated and will not identify individual businesses or the responses of any organization the. The Institute of scrap recycling industries encourages all of its members who receive the questionnaire to take part in the study. When complete, the commission’s report will be released to the public. The report is USITC investigation no. 332-528, Used Electronic Products: An Examination of U.S. Exports. It was requested by the United States Trade Representative under section 332(g) of the Tariff Act of 1930 (19 U.S.C. 1332(g)). More information on the investigation can be found Here. Pledging to keep your company’s electronic products out of informal or environmentally lax recycling systems in the developing world does not mean they are all handled properly. International journalist Adam Minter, who spoke last week at the Institute of Scrap Recycling Industry’s annual conference in Las Vegas, says he’s observed boxes and boxes of electronic products from companies like Panasonic, HP and Samsung being discarded in Guiyu, China. In the media, Guiyu – rightly or wrongly – is known as the international dumping ground for hazardous electronic waste. In his blog, ShanghaiScrap.com, Minter publishes images he took on a trip to Guiyu – images of new electronic products, still in factory packaging, from companies that have pledged to keep their products out of the developing world. Many of the products were marked with manufacturers’ bar codes or with tags stating they were “out of warranty.” Minter contacted the companies whose products he found discarded in the Chinese city, especially those who publicly pledged to prevent the export of their products to places like Guiyu and Ghana. “Let me be clear: I have no evidence that Samsung directly exported the material I found in Guiyu. It’s quite likely that one of their customers exported the material, or – perhaps – Samsung sold the material to a recycling company that claims green standards, and then turns around and exports to Guiyu,” Minter writes. The companies did not respond to his questions seeking comment and explanation on how their products ended up in Guiyu. Minter said his travels revealed that not only is electronics recycling in Guiyu very different from public perception, but the source of the electronics being recycled is very different from what it once was. While splashy documentaries have shown container loads of broken TVs and computers arriving from the U.S. and Europe being dumped willy nilly in Chinese countrysides and rivers, Minter said the majority of electronics in the area are sourced from China and Asia. Also, there is evidence of wide-scale organization and extensive reuse, Minter says. “This is not taking place down by the river,” he reported last week in Las Vegas. He saw evidence of sophisticated sorting and reuse of nearly every usable electronic component, he says, including circuits, batteries, chips and other materials. While some materials, notably circuit boards, may not be handled in methods up to Western standards, conditions are improving, he says. Instead of manufacturers pledging ineffectually to use ethical recyclers – and then not following through on the downstream – we should be focusing instead on helping recyclers in developing countries move out of the informal sector and into the formal, certified, recycling center, where audits ensure compliance with international standards. 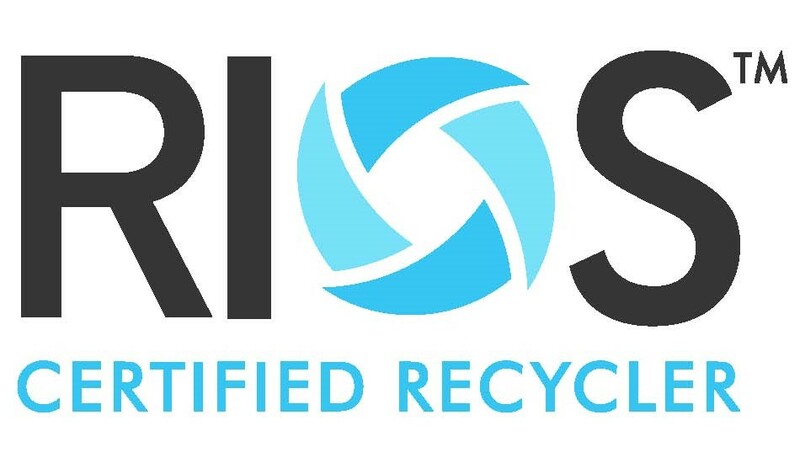 For example, R2 Solutions has issued the Responsible Recycler certification to a company in China, TES-AMM in Shanghai. That a China-based company could achieve not only R2 certification, but also ISO 14001 and OHSAS 18001 challenges the notion that people in areas outside Europe and North America are incapable of proper environmental management. We should be supporting the expansion of certified companies overseas, not cutting off their supply by banning export.